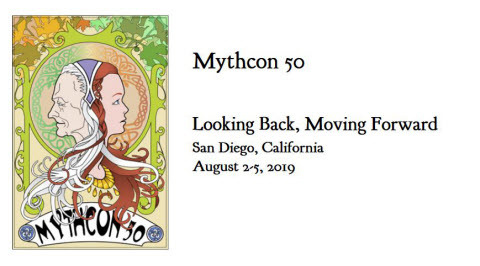 Alexei Kondratiev award for best student paper, Mythcon 49. Many scholars have commented on the influence of Catholic mystic Francis Thompson’s poetry on J.R.R. Tolkien’s early forays into creative writing. However, few critical studies have addressed possible connections between Tolkien and Thompson’s prose work. This paper suggests that if anything is comparable between Tolkien and Thompson, it is their respective understandings of art, creation, and the significance of artists, regardless of the form of poetic (or prosaic) expression these sentiments induced. Thompson’s essays on art, paganism, and the immortality of beauty come together to form backdrop against which we might re-read Tolkien’s own theories of the fantastic, the creative process, and the role of the artist in what he calls evangelium. Fontenot, M. (2018) ""No Pagan ever loved his god": Tolkien, Thompson, and the Beautification of the Gods," Mythlore: A Journal of J.R.R. Tolkien, C.S. Lewis, Charles Williams, and Mythopoeic Literature: Vol. 37 : No. 1 , Article 4.